Every home is unique & every client has different needs. To compliment an extremely thorough home inspection, we offer additional services to ensure you are fully aware of the property’s condition. Sometimes, clues to potential defects can be found that could otherwise go unnoticed. Thermal Imaging can detect active leaks at the shower pan, locate “hot” wires & overheating inside the breaker box or even find air escaping from the HVAC cabinet. Expansive soil is prevalent in the Austin area, so we pay special attention to the foundation. State requirements specify that a home inspector only needs to look at the foundation. We can actually take digital measurements when conducting your home inspection. These measurements will sometimes reveal major defects & can be used for a baseline for comparison if you ever have issues in the future. Sometimes, buyers negotiate for repairs to be made by the seller. These repairs range from simple to complicated & sometimes in hard to reach locations like roofs & attics. We can make a return visit to ensure not only if the repair was made but if the issue has been properly corrected. Irrigation systems can not only provide you a lush green yard but also keep proper soil moisture to help combat the effects of movement or damage to your home’s foundation. We can inspect the performance of the system to ensure proper coverage & help find leaks that could potentially lead to large utility costs or damage to the home. Central Texas does have an abundance of termites & other Wood Destroying Insects (WDI). To make things easier for you, we are licensed with the TDA (Texas Department of Agriculture) to provide you a full WDI inspection & a recommended course of action. This is all done In-House, unlike most home inspectors who are not licensed to perform WDI inspections & bring in a 3rd party vendor with separate fees, reports & contacts. Pools are a great way to beat the Texas heat but they can be a costly burden if not operating properly. A thorough inspection of the pool structure, pump, plumbing system & electrical system can make you aware of any defects as well as pool safety hazards. We want to help you enjoy your days of fun in the sun! 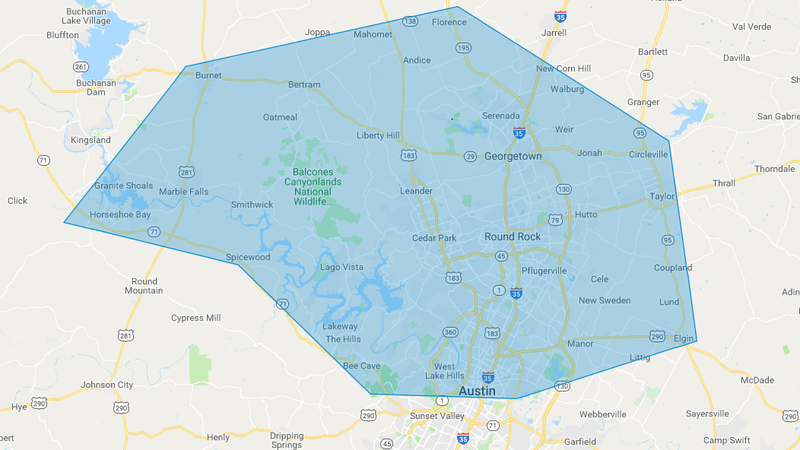 Austin, Bee Cave, Burnet, Bertram, Cedar Park, Elgin, Florence, Georgetown, Horseshoe Bay, Hutto, Lago Vista, Lakeway, Leander, Liberty Hill, Marble Falls, Pflugerville, Round Rock, Taylor, & Volente . If you are outside the service area, please call, we will do our very best to accommodate you!